VIA HD Audio is a MEDIA hardware device. 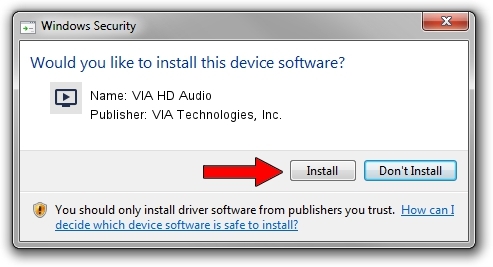 This Windows driver was developed by VIA Technologies, Inc.. HDAUDIO/FUNC_01&VEN_1106&DEV_4761&SUBSYS_17AA3081 is the matching hardware id of this device. 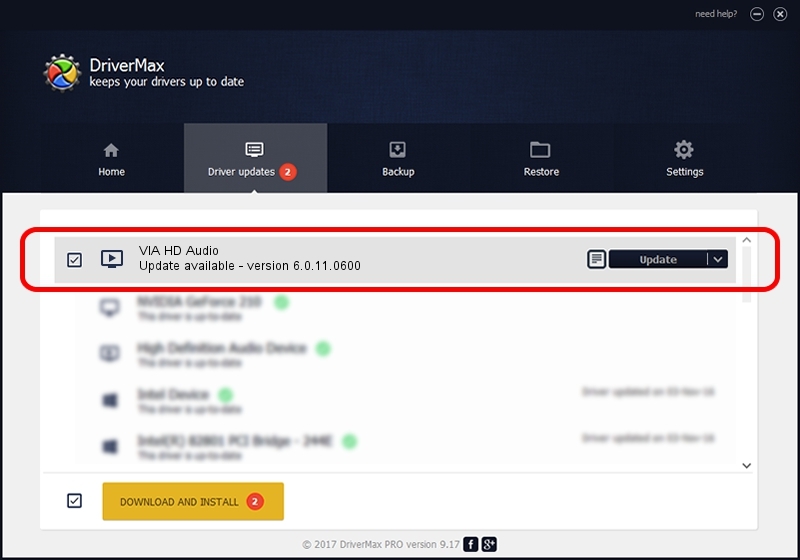 This driver was installed by many users and received an average rating of 4 stars out of 10121 votes.